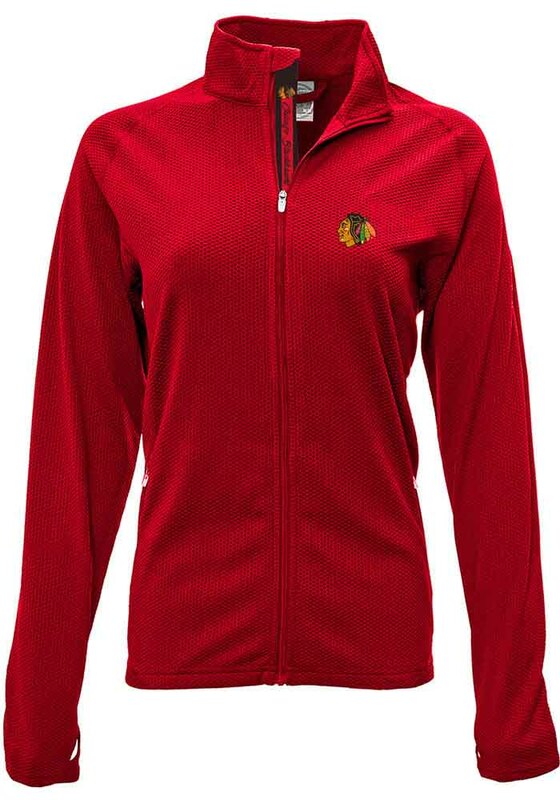 Let your Chicago Blackhawks colors show in this Chicago Blackhawks Full Zip Jacket. You'll love showing off your team spirit in this Womens Red Progression Aztext Script Long Sleeve Full Zip. Make a statement in this Chicago Blackhawks Womens Long Sleeve Full Zip Jacket, which features a left chest team logo embroidery and a contrast zip placket with verticle team name.